Believe me or not, the top of your mattress can somehow change the feel of the whole bed. So, if you strive to get the most comfortable, coziest bed, you need to know the difference between euro top and pillow top mattresses. Today, we will look at their peculiarities and see which one would work better for you. Which One Would Be Best for You? A pillow top is stitched on top of a mattress. What makes it interesting is the empty space between the mattress and the pillow top along the edges. This actually makes the top layer look like it’s just a pillow placed on top of the construction, hence the name. Now, while pillow tops are always the same size as a mattress (Queen, Twin, King, etc. ), their thickness can vary depending on each specific model. The most common pillow top thickness is 3 inches. However, there are beds with thinner pillow tops ( the choice is more limited here, though). 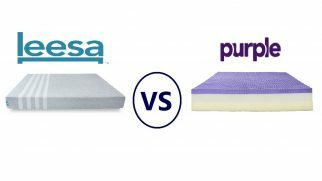 When it comes to the euro top vs. pillow top mattress comparison, the difference is clear thanks to their appearance. Euro top mattresses don’t have that flap between the base and the top layer along the edges. This means the euro top part is stitched onto the mattress along the whole surface, making it flush with the edges of the bed. As for thickness, the euro top is usually 3 inches tall. Again, some manufacturers may choose to make it thicker/thinner, but 3 inches is the most common size. 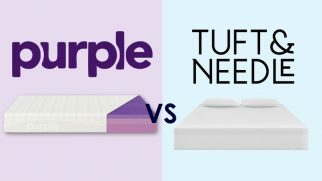 You already know that the main euro top vs pillow top mattress difference is in the way they are placed on the mattress. Even visually, the difference is obvious: a pillow top looks like a pillow (surprise!) and a euro top makes up a single unit with the rest of a mattress. 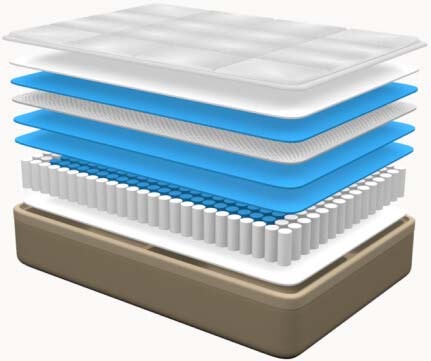 When it comes to the euro top vs. pillow top mattress comparison, they both will feel somewhat different even if the same material is used in the top layers. Some users believe that euro tops provide a more luxurious feel. Others note that pillow tops tend to be more neutral temperature-wise, which is a perfect condition for many people’s restful sleep. However, the final choice always comes down to each user’s personal preferences. One important factor you should know is that pillow tops mostly have a consistent feel throughout the entire surface. Such mattresses offer a balanced combination of cushioning and support and have a bit firmer feel. As for the euro top type, it isn’t that consistent. Such mattresses usually feel softer in the middle and firmer closer to the edges. The good news is, this is a perfect option for people who appreciate strong edge support. These mattresses do seem luxurious but have a rather interesting feel. 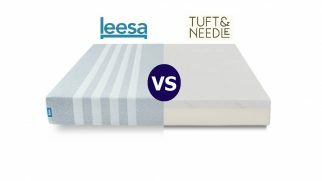 Of course, you want to know which mattress type is more durable. The top layer doesn’t determine the durability of the whole mattress. However, you’re going to directly interact with the top part much more than with the rest of a mattress, which is why this layer might wear out much faster than the rest of a mattress. So, the pillow tops usually lose their “puffy” pillow effect within a few years (typically, 5-7 years). In the process of wearing out, they start to flatten, gradually losing the cushioning. As for the euro top mattresses, they tend to be a bit more durable. They might serve you longer than pillow tops, but it’s not forever, of course. They will also lose their properties over time, becoming saggy around the edges. 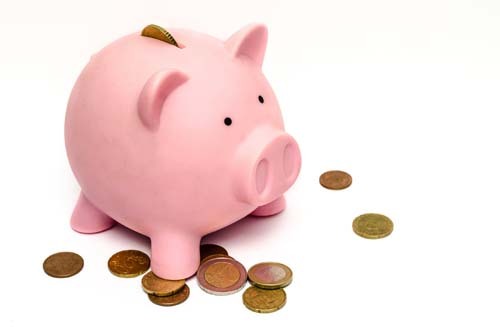 Pillow top and euro top mattresses vary in prices greatly depending on the brand, construction, type, and materials used. However, the top comfort layer does not play a huge part in the overall cost. This means, when looking at the euro vs. pillow top comparison, none of them wins or loses in terms of the price. It does not depend on the top section type. It depends on the materials used and their quality. It’s that simple. 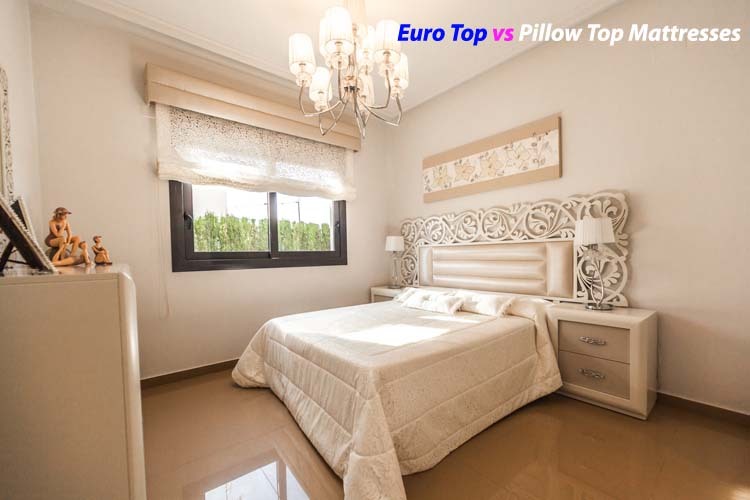 Now that you know all the differences between euro and pillow top mattresses, you might still have doubts which will work for you better. So, let me help by sharing the main points with you. You want a consistent feel of a mattress throughout the surface. You are planning to replace it (or at least the top part) within the first few years (5-7 on average). You don’t mind rotating the mattress to prolong its lifespan. You tend to sleep in the middle of your bed. You don’t need a larger sleeping area or strong edge support. You want a supportive bed that would feel pleasantly plush. You hate sleeping hot (because there’s a gap between a mattress base and the pillow top, it allows for better airflow and helps your body keep its temperature neutral). You need a medium-soft surface feel. You don’t care about sleeping hot or cool. You want a more durable option. You don’t want to bother rotating your mattress regularly. You appreciate strong edge support. You want something softer with great contouring abilities. You share your bed with a partner and need a larger sleeping area. 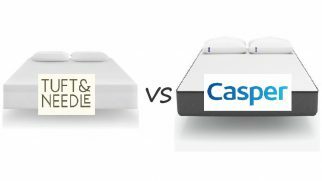 So, now that you know the difference between these two mattress types, are you ready to make a choice? Which one do you think would work the best for you? Share your opinion in the comments!